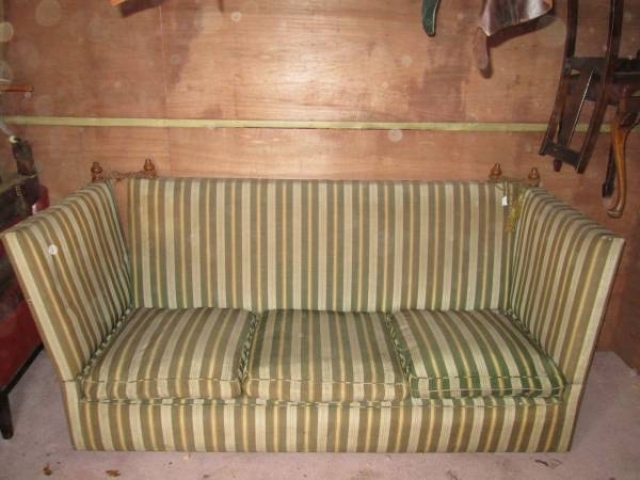 This particular example was constructed by a high quality furniture maker c1940. 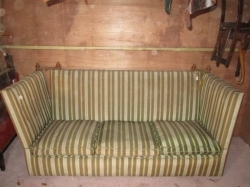 This Knole sofa can be fully restored with new horse hair, springing, coconut fibre etc, or modern foam can be used as an alternative, depending on your budget! 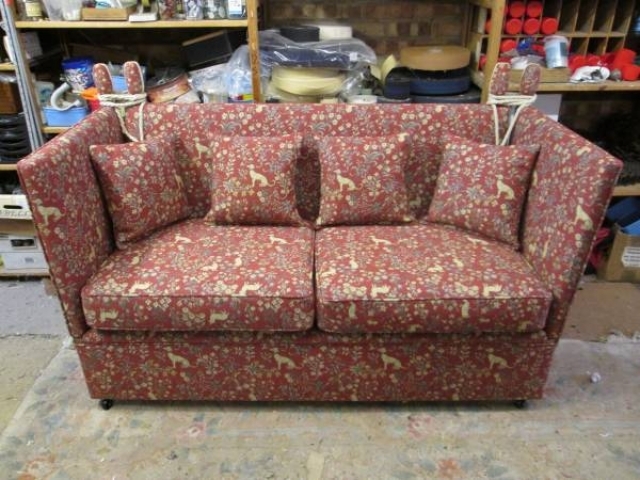 Over the years we have restored numerous Knole sofas and they look truly stunning when completed. Image two shows just one example of a recent customer commision, creating a one off, beautiful tapestery covered knole . We have a great selection of tie back options, which co-ordinate with any fabric selection. We also stock a vast range of decorative trimmings for all tastes and desires. 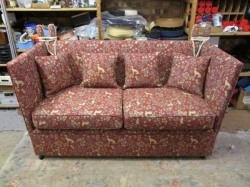 We also have a smaller Knole sofa in stock. Please phone for details and viewing. Dimensions - height 103 cms, width 203 cms, depth 84 cms.